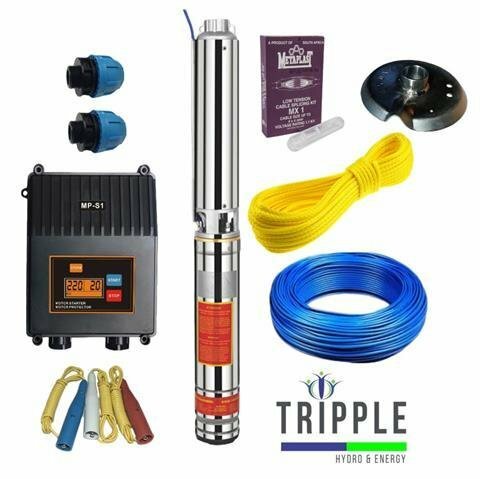 LEO 4SR2-14 Borehole Pump Combo, Submersible multi-stage borehole kit for South African conditions. Combined with a LEO 4SR2-14 series wet-end with built-in non-return check-valve. High performance oil cooled submersible Omega motor for optimum operation and lifespan. The LEO borehole pump range adopts a AISI 304 stainless steel casing with very durable “floating impellers”. The Impellers are made of American “Noryl” materials. The LEO SR series submersible pumps can be widely applied in domestic, agricultural and industrial applications. 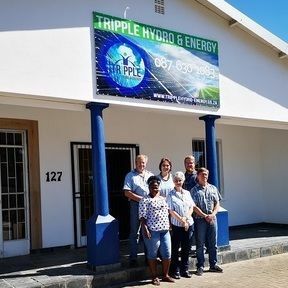 The combo comes complete with a 0.75kW 230V motor, pump, steel base-plate, 2 compression fittings, splicing kit, 70m submersible cable and standard direct online controller. 2 Years Manufacurers Warranty - Terms & Conditions apply.